( AbsolutDrinks.com ) Inspired by 500 years of vodka making expertise, ABSOLUT has spent the last decade inventing a new vodka. Crafted from hand-selected estate wheat, and blended with soft and naturally filtered water, ABSOLUT ELYX is a true expression of quality. It is a small-batch vodka, produced according to craft techniques, in an authentic 1929 copper rectification still. 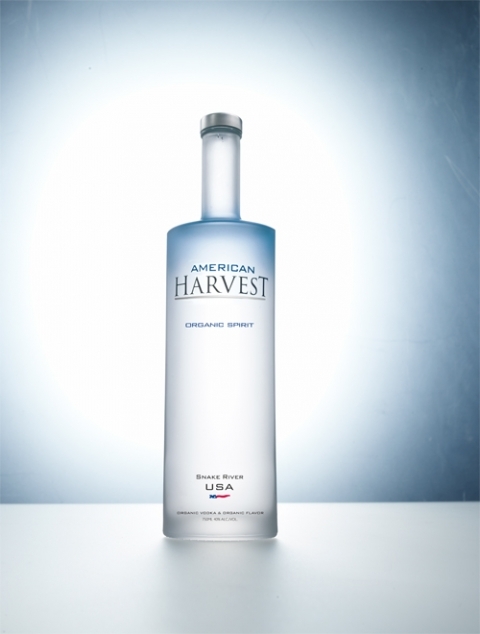 The result: a handcrafted super premium vodka with an elegant, silky texture. “Aroma and flavor are the obvious and most immediately striking characteristics of vodka. ABSOLUT ELYX goes beyond that. 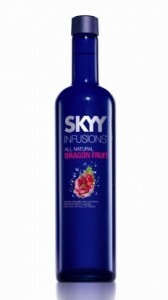 It has a clean and fresh taste with subtle floral and fruity tones, but its most defining quality lies in the texture. Not detectable by the nose or taste buds, texture determines how the vodka feels in your mouth. 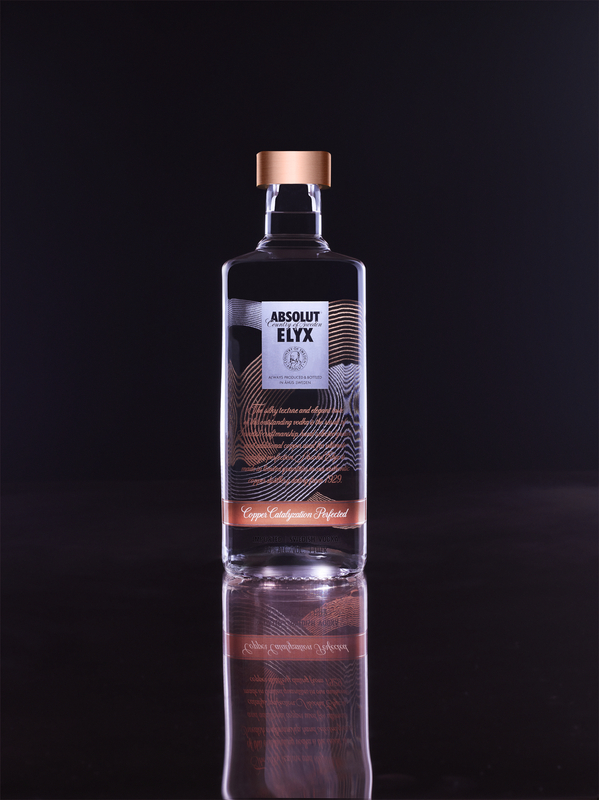 ABSOLUT ELYX is elegant and incredibly soft, and leaves you with a silky feeling in your mouth. Try it on its own, and your mouth will know the difference”, says Krister Asplund, master distiller at The Absolut Company. To create ABSOLUT ELYX, Krister Asplund returned to the roots of vodka making, while still addressing contemporary demands of traceability and innovation. He sourced the finest wheat and water, put a 1929 rectification still back into use, and refined copper catalyzation. These four factors are equally important in the production of this exceptional vodka, and they are outlined in the ABSOLUT ELYX manifesto, which guarantees long-term quality and an everlasting commitment to perfection. ABSOLUT ELYX is distilled exclusively from hand-selected wheat from Råbelöf, an estate with a flawless instinct for quality. Every year, the master distiller walks the fields of Råbelöf to select wheat that meet the highest of standards. Råbelöf’s excellent wheat adds subtle fruity and floral tones to ABSOLUT ELYX, and is conducive to its elegant palate and texture. The water quality is absolutely essential in vodka production. Luckily, the ABSOLUT distillery rests on its own pristine natural underground springs. Filtered through the boulder ridge and limestone bedrock for thousands of years, this water has never been exposed to modern day pollution. It is exceptionally pure, low in minerals and very soft, which is essential to the silky, smooth character of ABSOLUT ELYX. Throughout the process, copper plays an integral part in the making of ABSOLUT ELYX. Its unique character is obtained from the vintage rectification still, with columns, pumps and hand-forged pipes all in copper. While the apparatus adds character, additional copper packets are used to purify the vodka in the crude spirit distillation. They react with any sulphur remnants, resulting in an absolutely pure spirit. This is basic chemistry, refined to perfection. ABSOLUT ELYX is handcrafted in small volumes, according to the best craft techniques. No computers involved, ABSOLUT ELYX is the result of manual operation, old expertise and personal supervision through all details in the process. Each batch is made to the uncompromising standards of the master distiller and his sensory experts, who taste and approve of each batch before it is bottled. ABSOLUT ELYX is very fresh, clean and silky smooth, with subtle floral and fruity tones. It is all made from natural ingredients, and free from added sugar. One of the first external experts to taste it was Andreas Larsson, Sommelier World Champion 2007, and one of the world’s most renowned sommeliers. “The color is transparent and brilliant. The nose is plentiful and intense with a lot of character; it displays subtle hints of vanilla and lemon and has a floral touch. The palate is pure and invigorating with a silky, unctuous texture – creamy, subtle and persistent with a fine balance, and a long-lasting finish with a subtle spiciness. ABSOLUT ELYX is a finely tuned vodka with character and elegance”, says Andreas Larsson. ABSOLUT ELYX is perhaps best enjoyed neat or on the rock (just one single, large, slowly melting ice cube), but is equally good blended – preferably in martinis and straightforward cocktails where the fresh taste and silky feel come to the fore. Cut a sizeable block of ice into the shape of an Old-Fashioned glass. Measure up and add ABSOLUT ELYX over the ice. Press oil from the lemon zest over the drink and serve. Pour the liquid ingredients in a mixing glass. Add plenty of ice and stir until the drink is cold and has a suitable amount of water. Strain the drink into a frosted cocktail glass. Press oil from the orange peel over the drink and serve. ABSOLUT ELYX is first introduced in Canada, Greece, Korea and Mexico during the fall of 2010, with additional markets launching in 2011. Drink images, bottle images and images from the production are available at press.absolut.com.